It’s here, it’s finally here; no not the glittering carriage I ordered to help with deliveries, but Spring! Spring is finally here!!! You might have noticed that the eternal darkness of winter is beginning to lift, the birds are tweeting their way back into town, the clocks have sprung forwards, and your garden is in its usual post Winter state of chaotic disrepair and in need of a serious make over. Here at Cuckooland we are green fingered experts when it comes to creating a unique garden with quirky trimmings and awesome garden accessories. Our latest must have is the Outdoor Rug. This fabulous piece of garden brilliance is all the rage at the moment. From patios to decking areas, lawns to stone paving; an exterior rug can transform your garden into a splendid area of style, comfort, peace and tranquility. 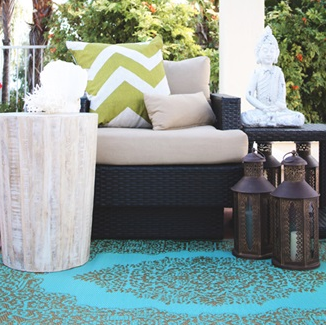 So sit back on that freshly scrubbed garden chair and prepare to be wowed by our amazing range of outdoor rugs. The Istanbul Outdoor Rug is a visually stunning exterior rug which will take pride of place in any secluded garden. Created by Fab Habitat this intricate and authentic rug has been created to encapsulate the beauty and wonder of the East. 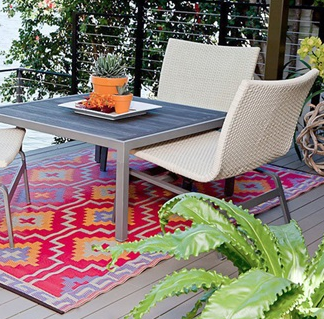 This stunning patio rug wouldn’t look out of place hanging in a bustling market in Turkey. The aqua and bronze colours will compliment your outdoor area effortlessly, so bring home some of that wonderful culture and style with this stunning outside rug. Colour is what makes a garden stand out. Beautiful and luscious greens and earthy browns are found in most outdoor spaces, so add a touch of eccentric colour with the Lhasa Outdoor Rug. Both stunning and eye catching, the Lhasa exterior rug features vibrant oranges, violets and reds, which compliment the earthy tones of your garden. The Lhasa looks especially good on a decked area or paved patio. 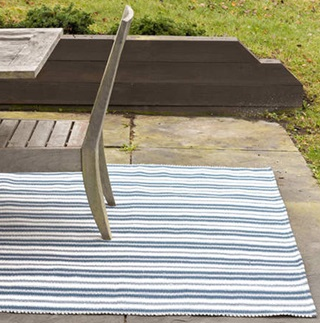 The Lighthouse Rug in denim and white brings a touch of nautical tranquillity to your garden. Made using polypropylene, the lighthouse outdoor rug is durable, made to last and will take on the toughest of outdoor surfaces. Available in three sizes, the lighthouse exterior rug will fit any space, whether it’s a sprawling lawn or apartment balcony. If you tend to spend more time in the conservatory than the garden, then we have the perfect rug for you. Our Happy Yellow rug encapsulates the warmth and fun that comes with Summer. Designed by the creative minds at Dash & Albert the Happy Yellow exterior rug would look simply stunning in a sun glazed conservatory, hallway or outdoor patio. 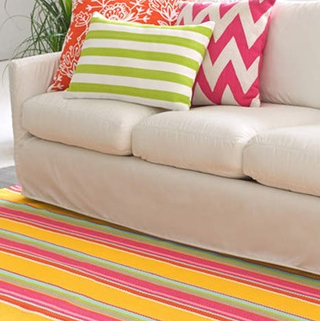 The happy yellow rug is durable yet light so it can easily be used as a beach or picnic rug too. 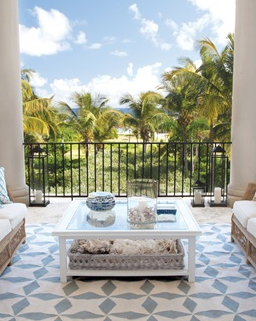 Taking some fabulous inspiration from Moroccan and Portuguese tiles, the Casablanca Outdoor Rug by Fatboy is effortlessly beautiful. Available in a stunning range of shades to suit all, this super comfortable outdoor rug will make lounging outdoors a picnic. Whats more each rug featured in the Casablanca range has buttons around the edging so that it can be fixed together to create a huge luxury outdoor lounge area. Look at any interior design catalogue and you’re sure to find the Chevron design making an appearance. 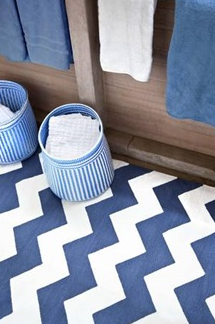 Chevrons are the popular pattern of 2015 and so our Chevron Rug in denim and white is in high demand. This bold outdoor rug would look amazing in a variety of places; From lawns to patios, annex buildings to living rooms. The chevron rug is super easy to maintain too, a simple vacuum and the occasional shimmy outside will ensure this rug lasts. If you’re on the lookout for a truly authentic outdoor rug, we cannot recommend the next offering more highly enough! 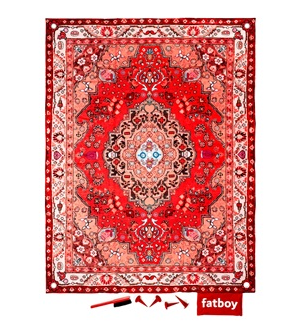 The stunning Luxury Picnic Lounge outdoor rug by Fatboy is a visual masterpiece. This incredible rug features a traditional, striking design which will turn your garden area into an Eastern wonder. 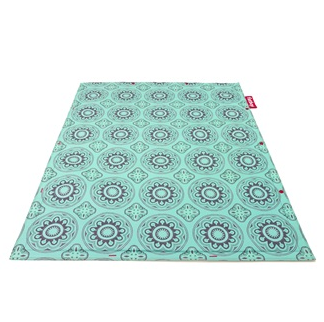 The Luxury Picnic Lounge outdoor rug is versatile, can be taken to just about any outdoor venue and is easy to clean. The Jute rug is an extra special addition to our range. Manufactured from jute (a soft and shiny vegetable fibre that can be spun into coarse thread) and coloured with vegetable dyes, this exterior rug is as eco-friendly as it is uniquely eye catching. The simple plaid design shows off the brilliance of this environmentally conscience outdoor accessory. Jute is also available in Navy and Oak colours for those who are looking for neutral aesthetics. The exquisite Lucy Rug featured in our range has been beautifully crafted to create an ambiance like no other. 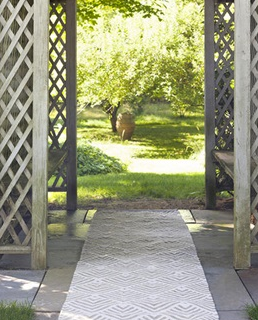 The geometric design makes this outdoor rug stand out in the best possible way. The simple colours add elegance to the overall design and will compliment a garden, patio or conservatory which features light coloured stone. Lucy is made from polyester and UV heat treated for outdoor use meaning it will last season after season. If you’re looking for maximum impact when it comes to an outdoor rug we recommend the Cleo Outdoor Rug by Dash and Albert. Crafted from the finest materials, Cleo looks spectacular when used on a stone walkway either internally or externally. Cleo is available in two sizes and comes in a variety of colours, meaning you can add this versatile rug to any hallway, solid floor or outdoor patio area. 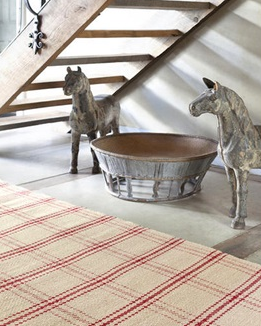 Have you been inspired by our range of outdoor rugs? Then why not leave us a comment with your favourite design, below. Colour the floor with Fab Habitat Rugs and Pouffes!